The secret to long-lasting makeup is face primer. If you want makeup that fills pores, softens fine lines, and eliminates shine, our face primers will give you the best base for your foundation. Wear your makeup all day and into the night with one of our perfect primers designed for your skin type. Why should I use a primer with makeup? If face primer isn’t already in your makeup bag, it’s time to add it. The purpose of primer makeup is to create a base for the foundation, smooth fine lines and pores, and combat shine. Is primer necessary before makeup? Not necessarily, but you’ll thank yourself later if you use it. 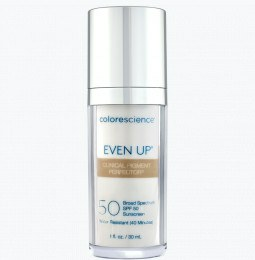 Primers help your makeup last longer throughout the day, which means the makeup in your cosmetics bag lasts longer too. You’ll save a bundle on buying new powders and foundations when you don’t have to reapply every couple of hours. 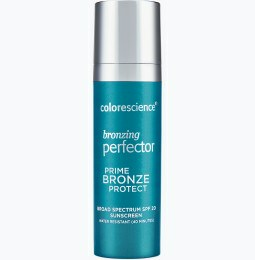 What forms do face primers come in? Primers come in creams, gels, and powders. Your choice of primer depends on your skin type and preference. When you use the right primer for your skin type, you effectively prepare your skin so that your foundation has something to hold onto and doesn’t run down your face at the beginning of the day or the end of your night. There are essentially three choices when it comes primers: silicone-based, water-based primers, and mineral makeup primer. Silicone-based primers work wonders for your skin if you need help filling pores and wrinkles. The thicker formula creates a smooth finish that helps make foundation look more even across the skin. Water-based primers are ideal for those who want thinner coverage or for those who have acne-prone skin. At Colorescience, our natural primer is ideal for all skin types. Apply our oil free mineral primer before or after a moisturizer to provide the best base for your favorite powder or liquid foundation. We have mineral primer for sensitive skin, primer for oily skin , and primer for dry skin. Brush-on foundation primer is the perfect solution if you can’t find a liquid or cream primer that works with your skin. Our passion is to provide cosmetics that improve your skin while on the go. We believe you shouldn’t have to wear makeup to feel beautiful. We design our products to help rejuvenate skin from the inside out, so you can feel confident whether you wear makeup or go bare-faced.